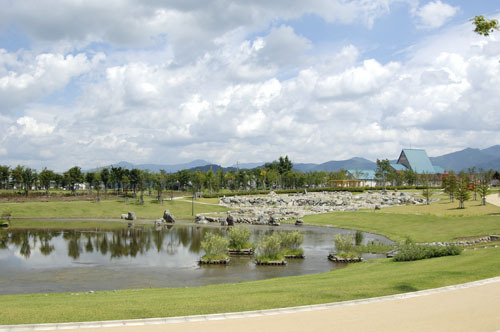 With a view of Echigosanzan, the Uonogawa and Mizunashigawa rivers flow here in the park in Yairoppara, which is centered on the concepts of healing, farming, and recreation. In this park there are herb gardens, a winery, an art museum, and footpaths. Get on Joetsu Line from Echigo-Yuzawa Station and get off at Urasa Station. About 10 minutes walk from there.